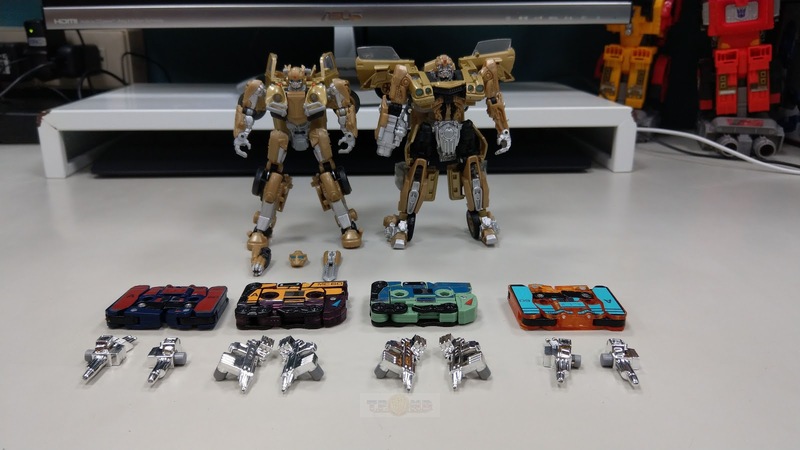 Discussion in 'Transformers News and Rumors' started by PoweredConvoy, Sep 26, 2018. 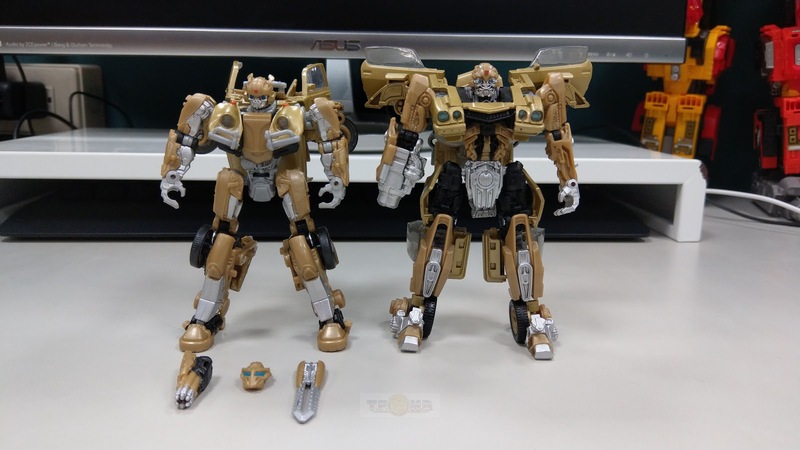 Some comparison pics with volume 1 too. 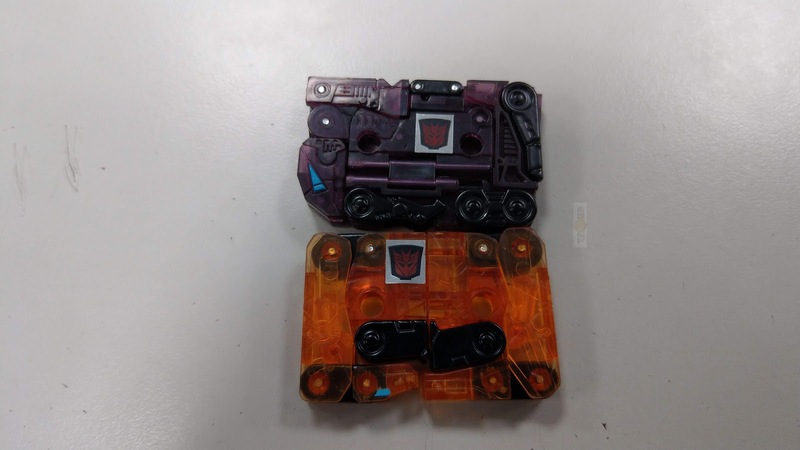 C'mon Takara, reissue the G1 colors of the cassettes in ONE set! 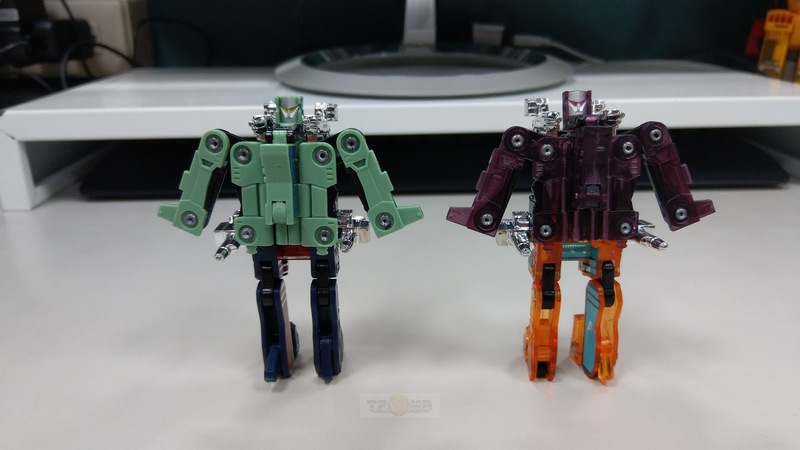 man, it's amazing how much the two molds register as almost different characters. 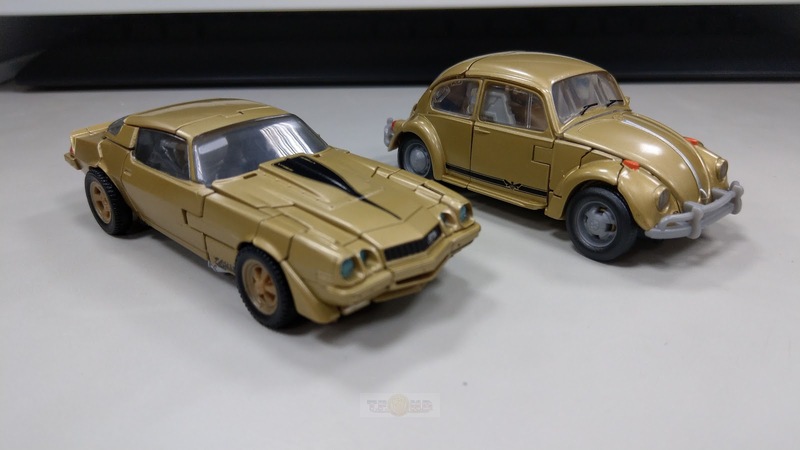 the softer, rounder design of vw bumblebee really sells him as the cute little guy, vs the terrifying skull-faced camaro guy that doesn't really have any personality. I can't second this enough. I can’t behind that tacky gold color. 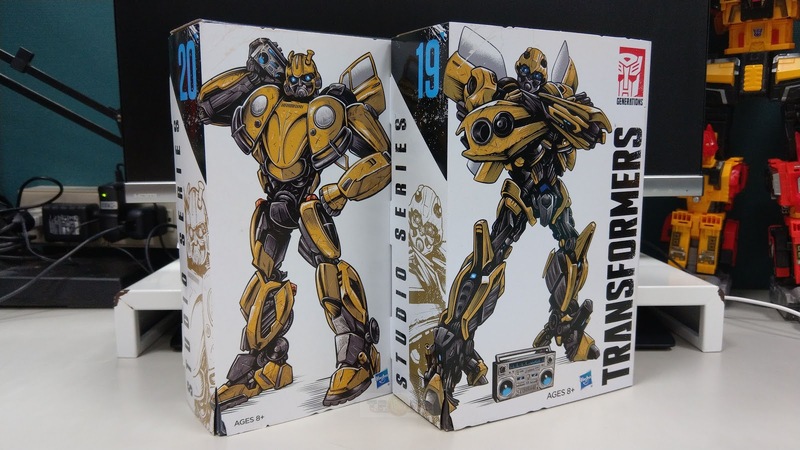 I mean, I prefer the Beetle Bumblebee too, but he's got this emaciated pig snout thing going on that I find just as terrifying. When and where will one be able to acquire this? Agreed, what an awful color choice. 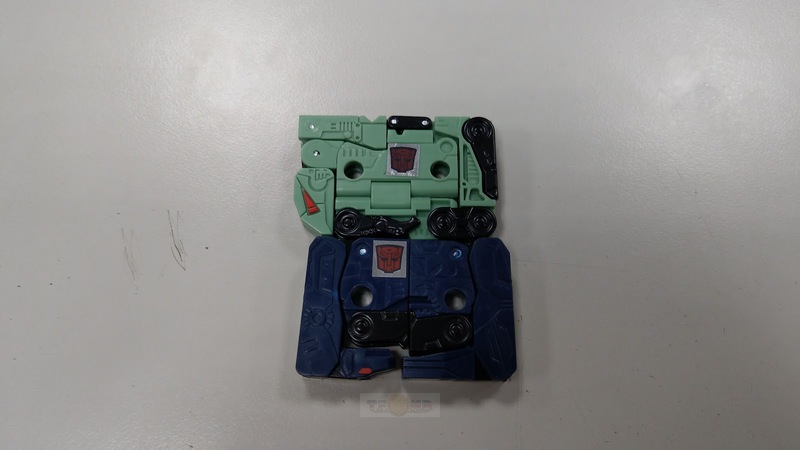 Crap, looks like the combined modes feet are still swapped. Wonder how much I can get those Bees for on ebay. Can someone please write lyrics for all of those songs on the back of the boxes? The track titles by themselves sound amazing! WEEGEE Aw a doggo! How c00t! He thinks he's an avatar! 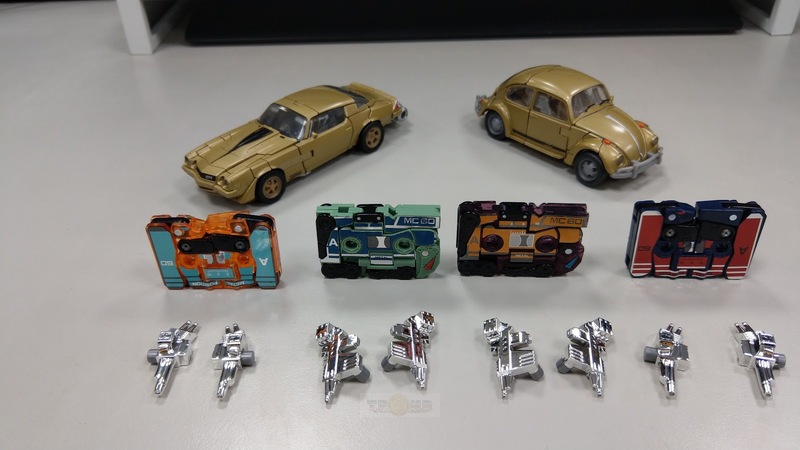 Why there images from other toylines in this bumblebee story? Should have gone with "Mr. Autoboto." 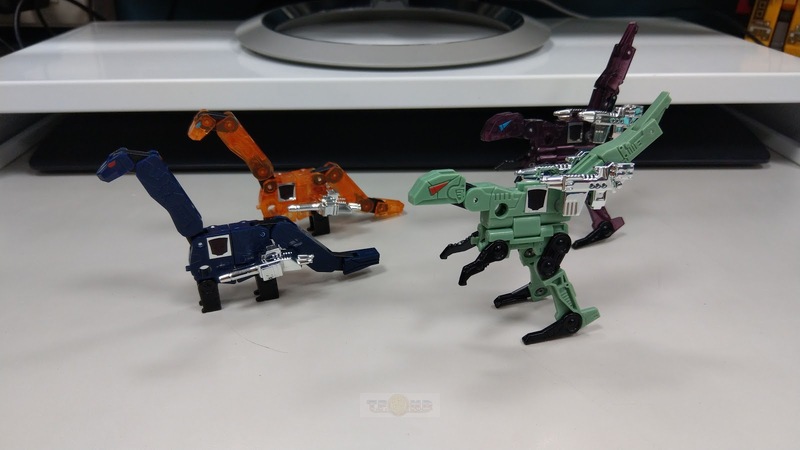 Looks nice but I am getting the mpm version. 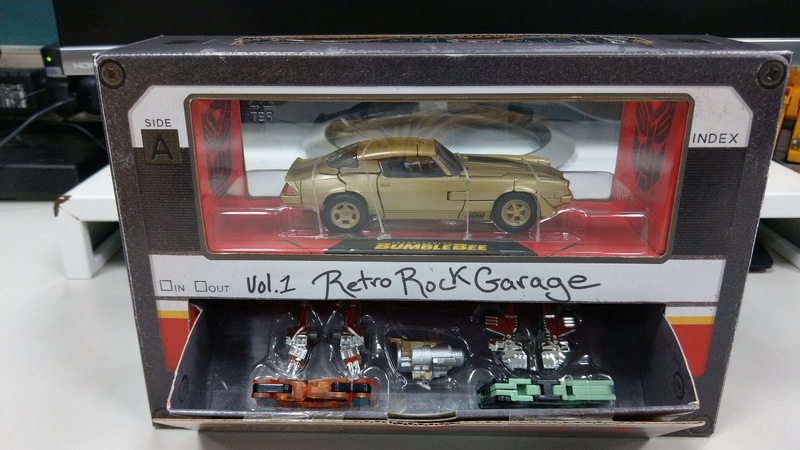 ...is entertainment earth the only retailer stocking this set?.. I picked up Vol. 1 and it's great. 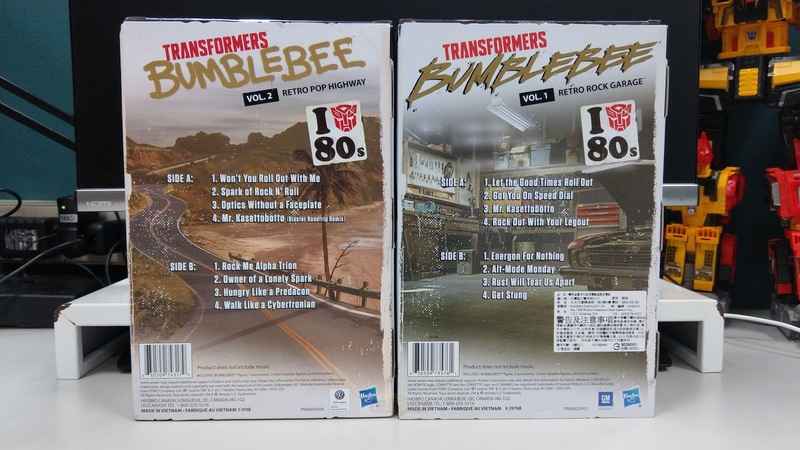 I mostly got it for the cassettes, but Bee's nice too. My only big issue (and I'm assuming Vol. 2 has the same problem) is the damn box. It looks nice, but it's got no reuse value. You put everything back in, pick it up, and everything goes loose inside. If you're going to design such a nice box, at least make it so I can put everything back in and pick it up without losing everything. Especially when the portrait slipcase encourages me to stand the box up on its side. Anyway, rant over. Moving on. There's the whole feet issue too of course, but that goes without saying. Going off the photos, it doesn't look like they've fixed it this time around, but it's hard to tell. But yeah, all in all, Vol. 1 was a great set. Hopefully my Vol. 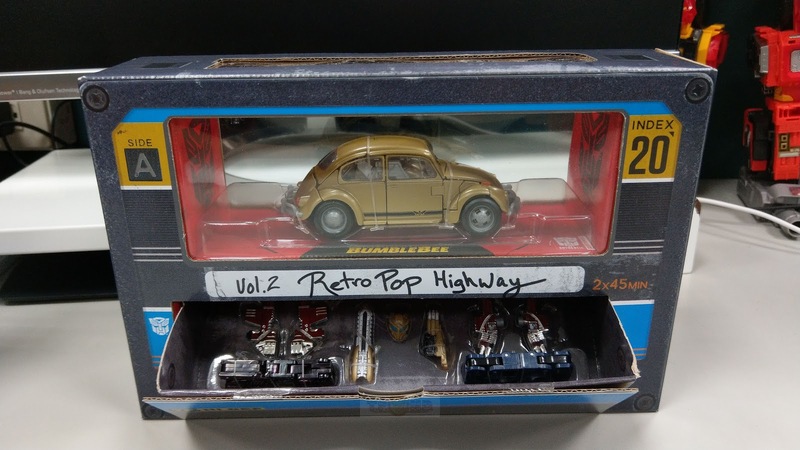 2 arrives soon because I'm loving that VW Bumblebee design and can't wait to get my hands on it.